Your privacy is important to us. Vernon Women In Business (VWIB) has created this Privacy Statement to inform you of the information collection practices for this Web Site, including what type of information is gathered, how the information is used, and with whom the information is shared. In general, you can visit this Web Site without identifying yourself or revealing any personally identifiable information. There are times, however, that you may choose to give us personally identifiable information, such as your name, address, phone number, e-mail address and other information about yourself. For example, if you would like to receive our eNewsletter, you will need to provide us with your name and email address. 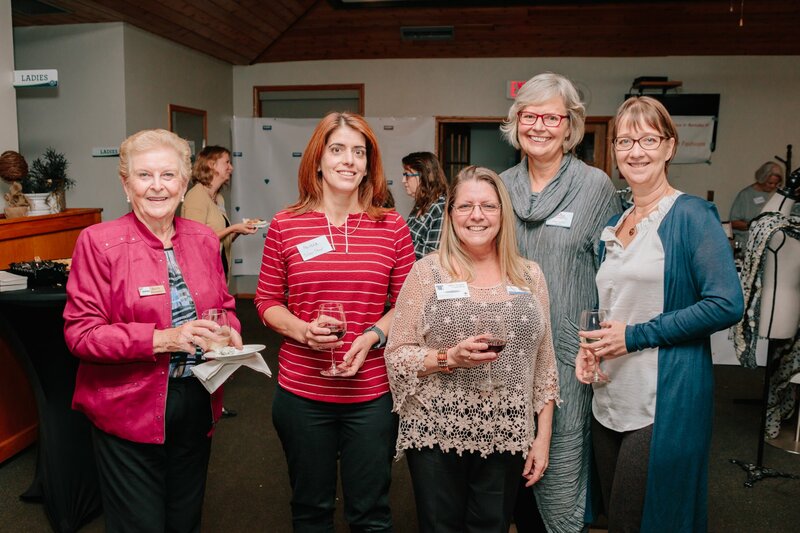 If you sign up for membership with VWIB through this Web Site, you will need to provide us with your contact information including, but not limited to your name, company name, address, phone, fax, and e-mail addresses. We also provide you with the opportunity to e-mail us questions or comments about this Web Site and our Company. We only use the personally identifiable information which is provided by you through this Web Site to help us improve our services to you, to provide you with the information you have requested, to respond to your questions or advertising requests and submissions, and for other internal purposes. Any non-personally identifiable material, information, suggestions, ideas, concepts, know-how, techniques, questions, comments or other communication you transmit or post to this Web Site in any manner is and will be considered non-confidential and nonproprietary (“User Communications”). VWIB, each of its affiliates and/or their designees may use any or all User Communications for any purpose whatsoever, including, without limitation, reproduction, transmission, disclosure, publication, broadcast, development, manufacturing and/or marketing in any manner whatsoever for any or all commercial or noncommercial purposes. VWIB may, but is not obligated to, monitor or review any information you provide through this Web Site. VWIB shall have no obligations to use, return, review, or respond to any requests, information, questions, material, comments, submissions or other communications through this Web Site. You are prohibited from posting or transmitting to or from this Web Site any unlawful, threatening, libelous, defamatory, obscene, offensive, pornographic, or other material that would violate any law. VWIB will have no liability related to the content of any such communications, whether or not arising under the laws of copyright, libel, privacy, obscenity, or otherwise. We intend to protect the quality and integrity of your personally identifiable information. We have implemented appropriate technical and organizational measures to help us keep your information secure, accurate, current, and complete. We will make a sincere effort to respond in a timely manner to your requests to correct inaccuracies in your personal information. To correct inaccuracies in your personal information please return the message containing the inaccuracies to the sender with details of the correction requested or send us an e-mail through the Contact page of this Web Site. From time to time, this Web Site may contain links to other Web sites. If you use these links, you will leave this Web Site. The privacy policies of such other Web sites govern the information collection and dissemination practices occurring on such Websites. Neither VWIB nor its affiliates is responsible for the privacy practices or the content of such Web sites. VWIB may revise this Privacy Statement at any time and from time to time by updating this posting. You should visit this page from time to time to review the then-current Privacy Statement because they are binding on you.